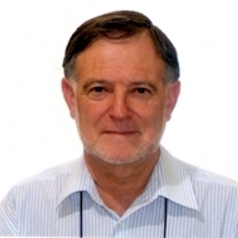 Peter Mayer is Associate Professor of Politics and Visiting Research Fellow at the University of Adelaide. He received his doctorate from the University of Wisconsin at Madison. He has written on many aspects of Indian politics and economics and is a frequent media commentator on South Asian issues. His recent published work has examined a diverse range of issues including: why the proportion of women in the Indian population has steadily declined since 1901 and whether this predisposes north India to violence; the role played by civic engagement and social capital in the human development performance of the Indian states; the origins of a zone of weak governance in the Indus-Ganges plains; the introduction of e-governance in the Indian states; India's engagement with economic reforms; long-term trends in the real wages of agricultural labourers in the Kaveri Delta; trends in the foreign relations of Australia and India, and an analysis of political patterns underlying communal violence in India. In 2011 he published a major study of the sociology of suicide in India.